A craving for sweets can hit at any moment, so it’s always best to be prepared, even when camping. S’mores are great, but what if what you really want is cake? 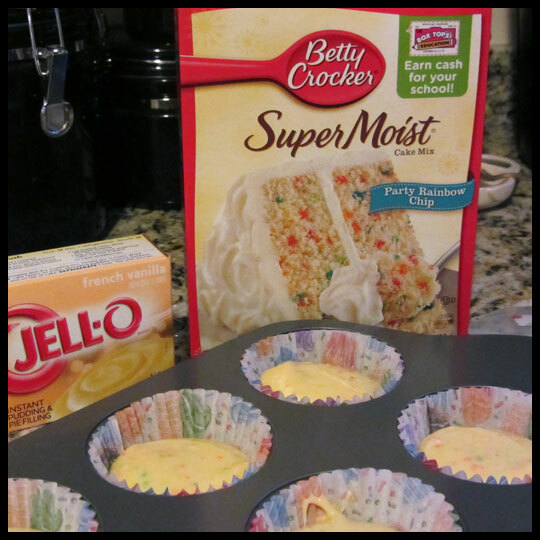 You may remember we posted about spotting Betty Crockers’ Shake-N-Pour cupcake mix at our local grocery store on our Facebook page. 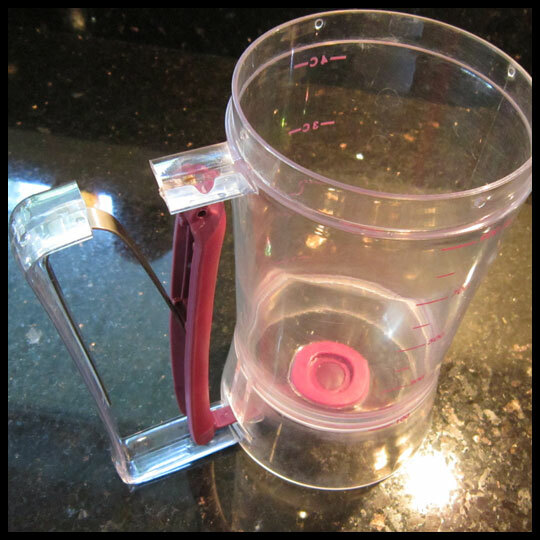 This is the perfect item to take along for a camping trip. All you have to do is add water! Every fall, a handful of my girlfriends, including Crusaders Stacy and Elisa, get together for a girls’ weekend. It started five years ago in tents, and although we no longer stay in tents—after spoiling ourselves on year three with a cabin—the gist of the trip is the same: Sit around a fire, have fun, eat food, and throw in some drinks. With Pinterest, my campfire ideas for the weekend bloomed and I found a recipe for Orange Campfire Cakes from ljcfyi.com. Oranges are simple to take along with you and, with the added bonus of cake mix that requires no bowls, utensils, eggs, or oil, it was a no brainier that we would have these “rugged cupcakes” during our weekend. 1. Hollow out an orange. This was the most difficult of the steps and we used several methods among us girls including spoons and bare hands. 3. Pour the batter into the orange peels, replace the top, and wrap in foil. 4. Bake in the coals of a fire for 20 minutes, then enjoy! Since it was SO cold on the weekend we went away, instead of an outdoor campfire we stayed in and kept the wood stove burning. The coals of the wood stove worked perfectly! We had Funfetti cupcakes and chocolate cupcakes, for variety. We may have overfilled them, so the cake stuck to the tops of the oranges and oozed out the sides a little. But, the results were the same: Delicious! Some might be skeptical of a cake mix in a plastic container that only requires water to be added. I know we were. But, baking them in an orange peel adds moisture and seals it in. 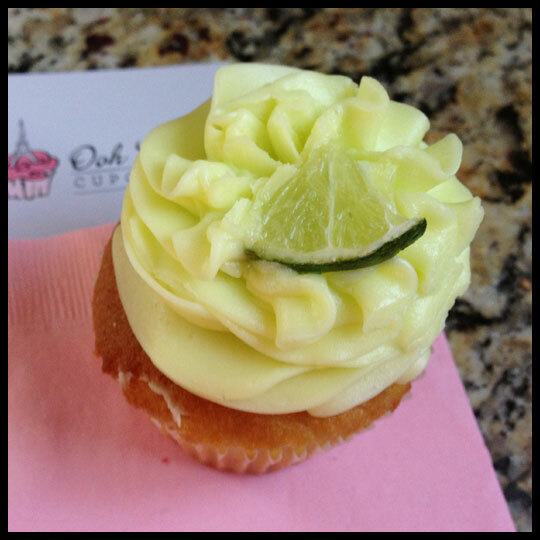 If you don’t like orange flavor, than these cakes aren’t for you, but we all loved the flavor it added to the cake. The leftover cake batter made great pancakes the next morning too! There were more than enough sweets for the weekend and the bar was set high this year, but I’m sure we’ll manage next year. Now that there are two little girls who join us (my “little” Leah and my friend’s girl Freya, who is only 4-5 days older than Leah), I can’t help but think of the memories they’ll have from our fall trips, sitting around a campfire (or wood stove) making treats, laughing, and having fun with some of the best ladies in my life. I’m not exaggerating when I say that Lylah, my 3-year-old niece, talked about her birthday party for 3 months. 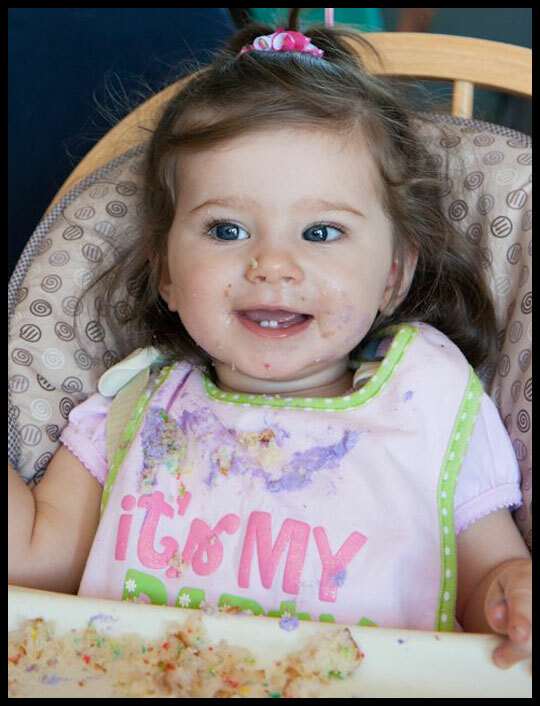 It started when her little sister, Lily, turned 1. “It’s my party? Those are my presents?” she would ask. Then when Leah turned a year old, we got the same questions, only to answer, “No Lylah, those are Leah’s. But your party is next!” As soon as items were purchased for her party, I was greeted with, “Auntie Jenny! 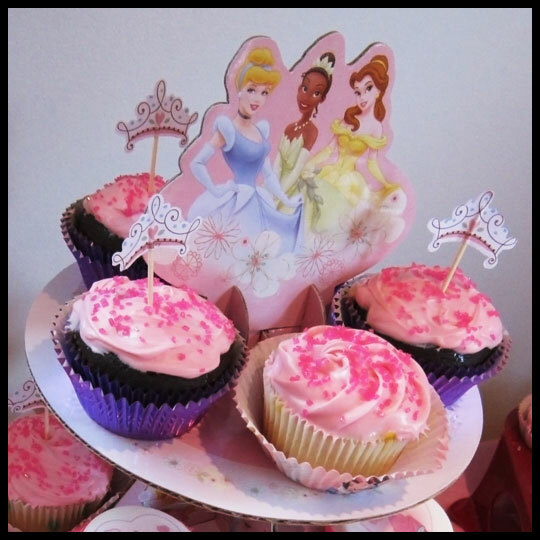 Look at my princess party!” For the next few weeks, she talked about her princess party, which would have (of course) princess cupcakes. 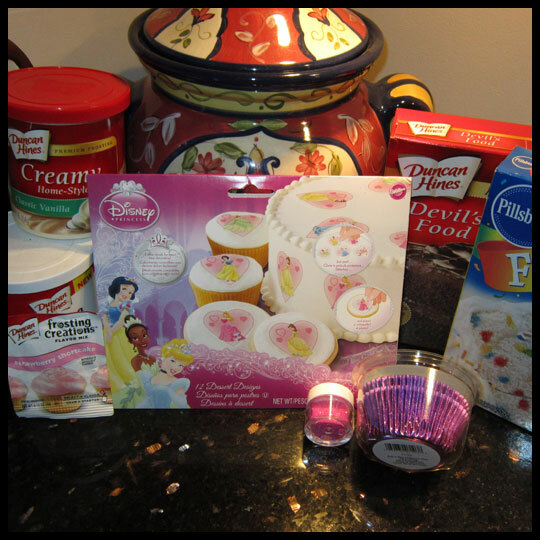 We had all the fixings for a perfect 3-year-old princess party: My sister purchased a Wilton kit that had a Disney Princess cupcake stand, cupcake liners, and picks, and also bought the Disney princess frosting transfers. Crusader Stacy purchased purple metallic liners, which would be a complementing color, and I provided extra pink sugar crystals. 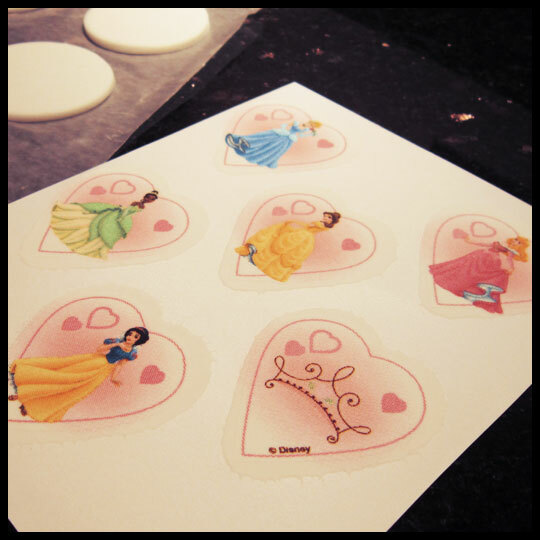 Stacy came up with a plan of action for the frosting transfers, which included rolled fondant. After Leah’s party I’m now the fondant “expert” in the group, so I volunteered to help with the cupcakes. 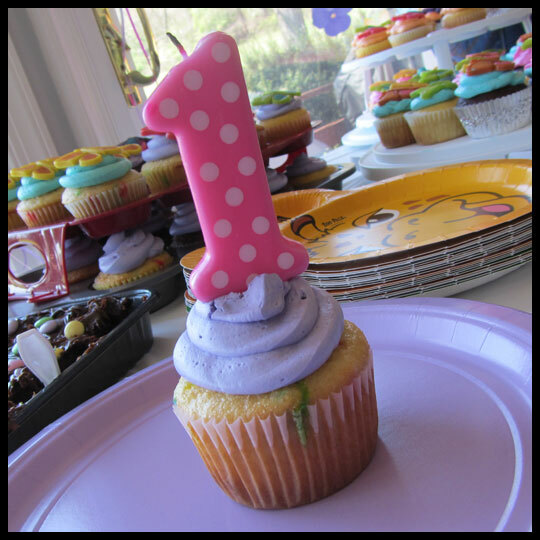 I baked and frosted the funfetti and chocolate cupcakes the day before the party. We used Duncan Hines Strawberry Shortcake Flavor Creations for the pink frosting, which I had to add confectioner’s sugar to in order to pipe. I did my best to pipe a flat swirl on the cupcakes that would be getting fondant circles placed on top. I was really nervous about the transfers. I didn’t want to mess them up, because we didn’t have any extras, so I practiced with one a few days early and it worked great. The ink on the transfer didn’t get funky after a couple of days, so I was able to calm down a bit about preparing the cupcake decorations in advance. The night before the party I prepped the fondant-transfer decorations, to place on the cupcakes the morning of the party. I rolled out the fondant, like I did for Leah’s birthday cupcakes, this time using the larger cutter to fit the whole top of the cupcakes. Then, following advice I found from Google searches, I used a damp cloth (AKA: a wet paper towel) to moisten the top of the fondant. The instructions for removing the transfer from the sheet worked perfectly and they peeled off easily. I was really proud of trying something new again and it turning out well. 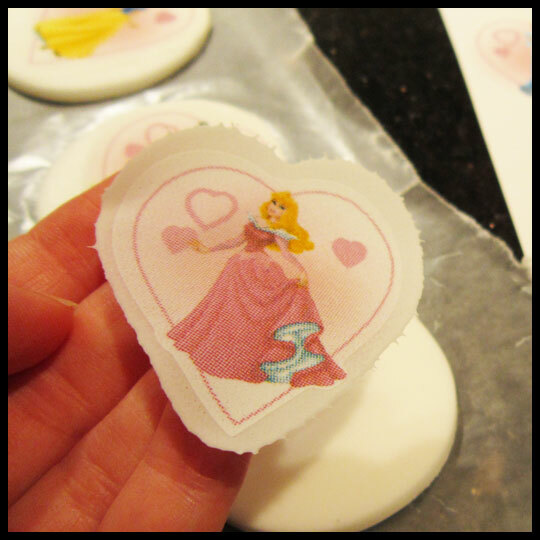 The fondant with the transfers stayed perfect through the night (stored in an air-tight container), so the next morning I was able to finish up the decorating. 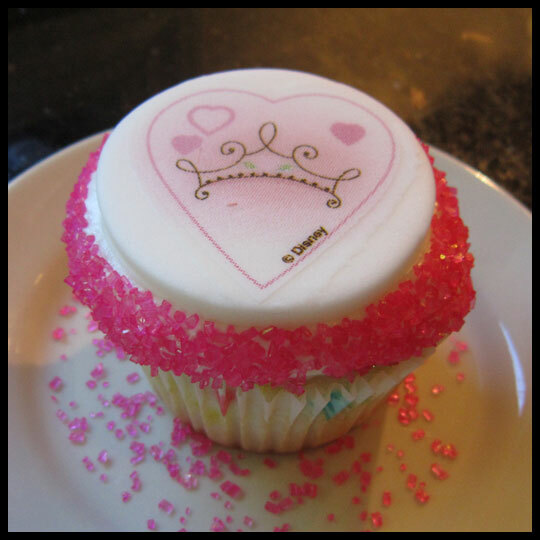 We rolled the edges of the frosting in sugar crystals, just to give it a finished look. 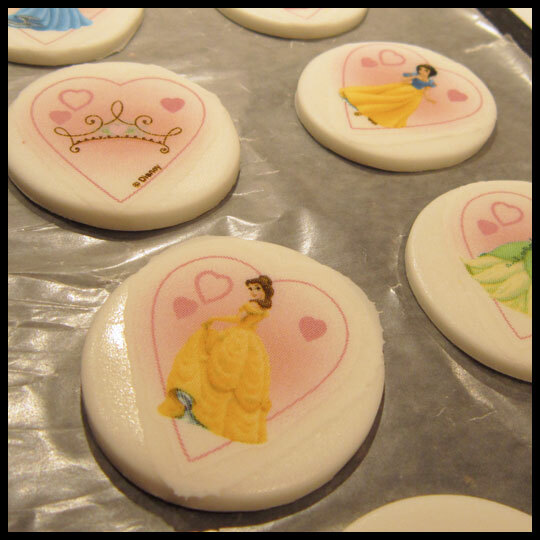 Plus, a princess party needs a little extra bling! 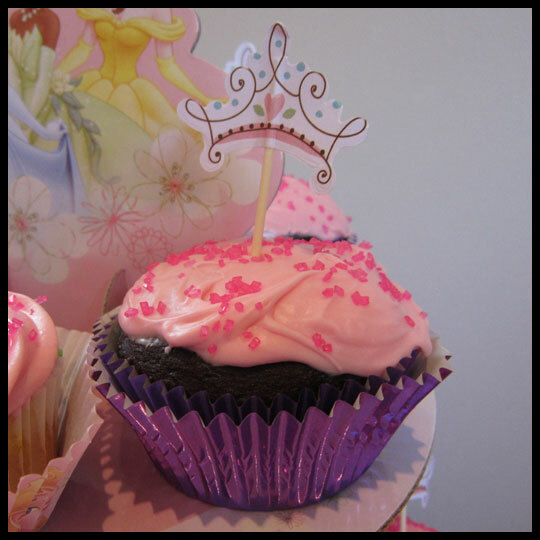 I figured we would have enough time to sprinkle sugar on the pink frosted cupcakes when I got to the party location. Well, I’m glad I waited because as soon as I got in the car, on the way to the party, I noticed that the pink frosting had slide right off the tops of the cupcakes. It was a disaster. I’ve decided that moisture is a big issue with the Duncan Hines frosting and they are better off being left out to “set-up” (which is a problem when you want moist cake). 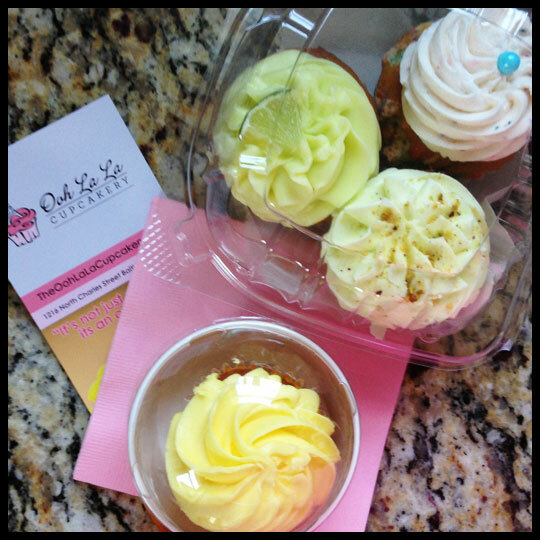 Luckily I was going to be early anyway, so Stacy and I went into cupcake-rescue mode. 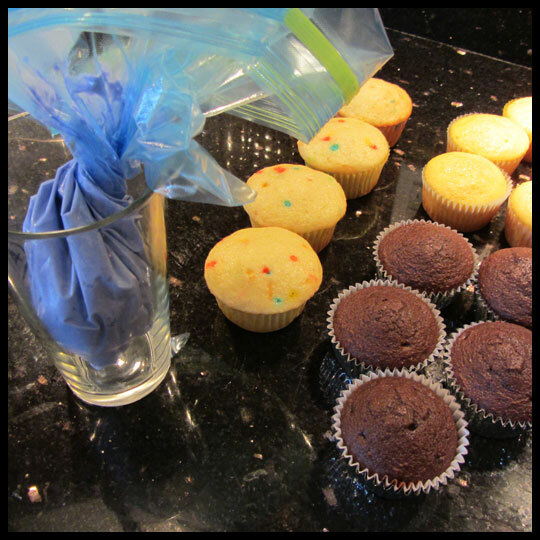 We scrapped frosting and reapplied it to the cupcakes, sprinkled, and double-lined the wrappers, to hide some of the mess. The results? Not too bad. Although it’s not exactly what I had envisioned, no one noticed. We did have a few pink survivors, which stayed at the forefront of the display. 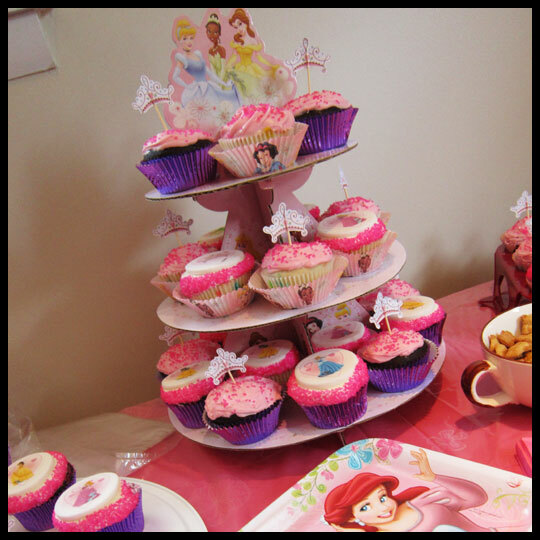 The cupcakes with the fondant and transfers still stole the show and the birthday girl was giddy with delight over her princess cupcakes. 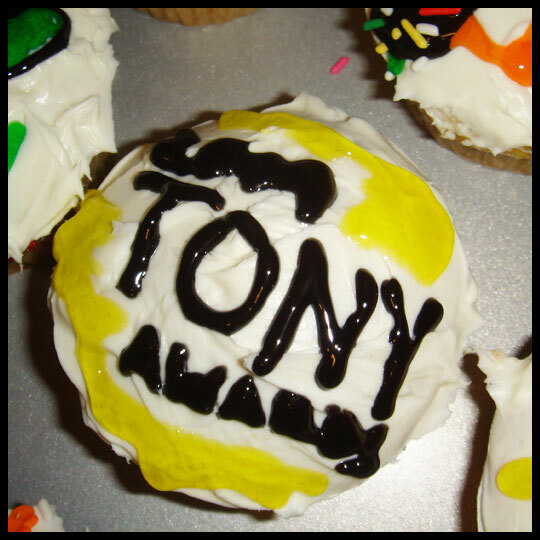 I wasn’t able to make any cupcakes this year for the Tonys, and unfortunately I haven’t seen many of the shows that were nominated or won, but that doesn’t keep me from watching. I always look forward to seeing the performances and deciding what the next show I want to attend will be (the first two on my list are Once and Newsies). 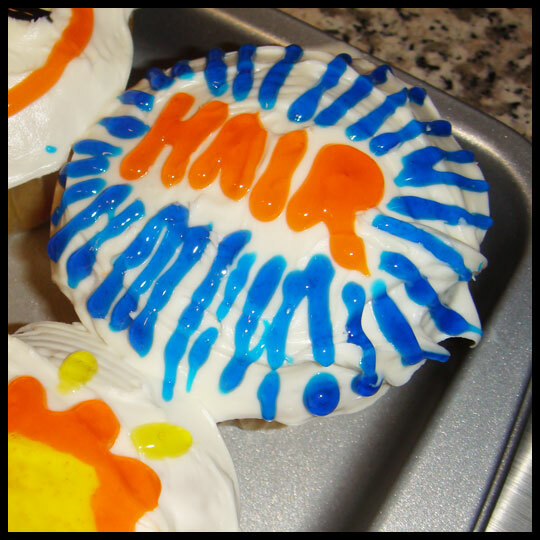 Maybe next year I will try to decorate cupcakes again. I would hope that over the past three years I have developed a more steady hand and with another year of practice, they could look amazing! 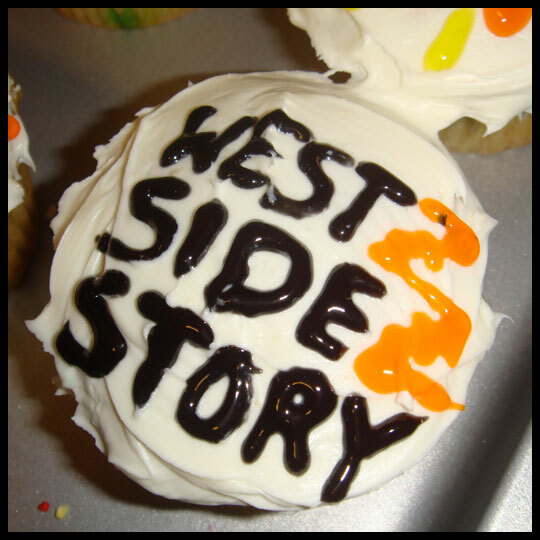 Have you ever made cupcakes for an awards show or themed party? If so, we would love to hear about them! Something you may not know about Crusader Elisa is that she loves her birthday. This means that her birthday doesn’t just involve a causal gathering with balloons and cake, but instead, it is a full day (sometimes a full weekend or even week) of fun activities and full on celebration. This year she celebrated her 30th birthday so of course, it had to be spectacular! Elisa decided that we would start the day at our favorite bi-annual Patterson Park Flea Market, then have a small barbeque (just the Crusaders, significant others, and Jenn’s daughter) at my house, and end the day with a party in a rented out room at one of our favorite Baltimore hang outs, the Waterfront Hotel in Fells Point. While we were discussing all the details of the day, I asked if she would like me to handle the cupcakes. She excitedly said that she would love if I would do that, and requested one of her favorites, Funfetti. 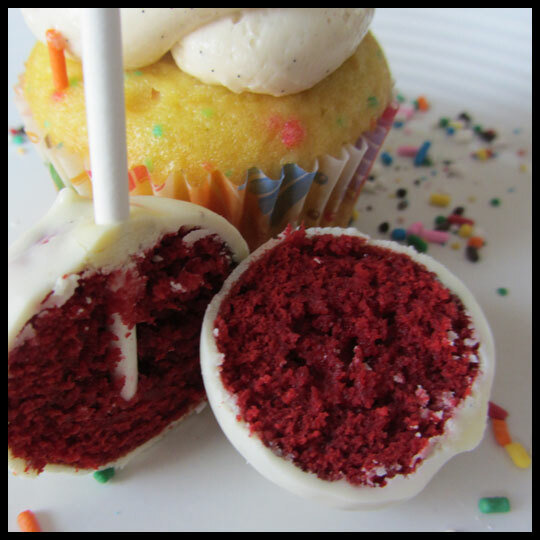 After much thought I decided that not only would I do Funfetti cupcakes, but I would make Red Velvet cake pops (she is our Red Velvet Crusader after all…) dipped in white chocolate and finished with rainbow sprinkles to match the Funfetti cupcakes. 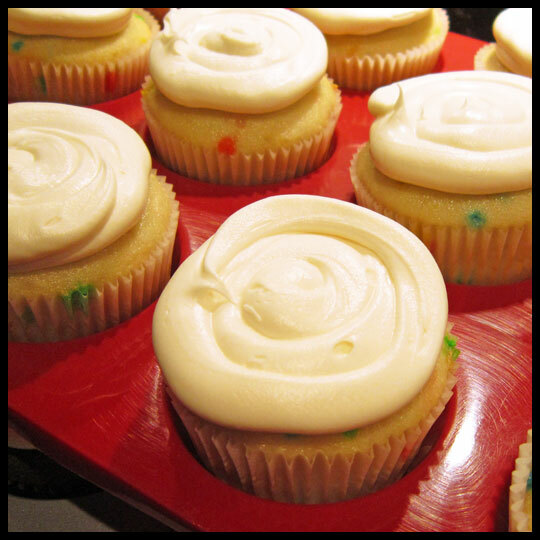 I also decided that instead of using pre-made frosting from a jar, I was going to attempt a rich vanilla buttercream. On the evening of my baking adventure, I decided to start with the cake pops so they could have plenty of time to cool before dipping them. 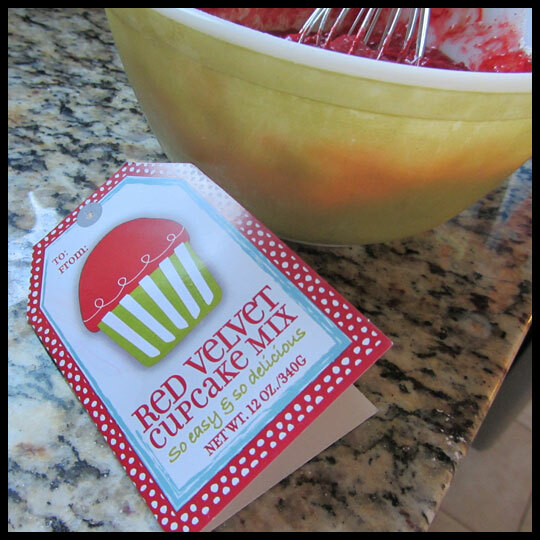 I pulled out a Red Velvet cupcake mix that had been given to me as a gift and got to work. 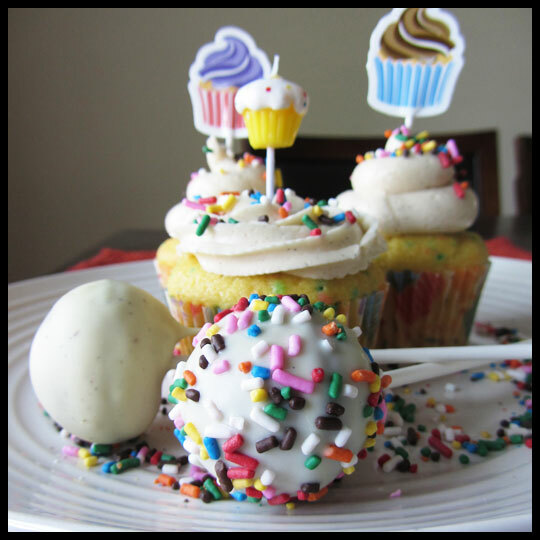 You may recall that during my last cake pop making experience, using a mix didn’t turn out quite as I had hoped. The cake pops were too fluffy and as a result there were a few casualties. 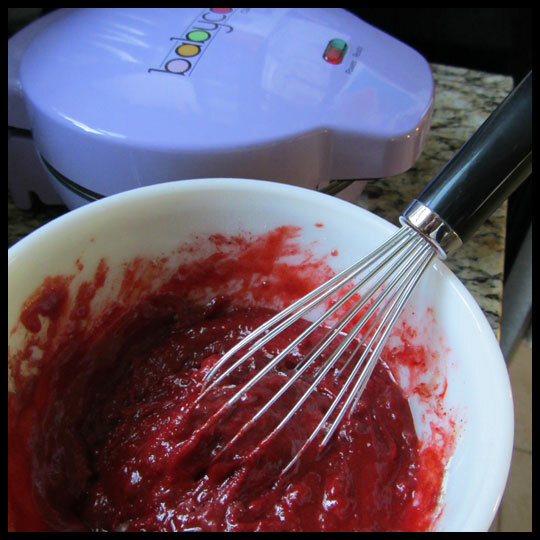 I was determined to keep that from happening this time, so I compared the ingredients and add-ins from the packaged mix to the recipes that come with the BabyCakes Cake Pop maker. It looked as if the results should be okay, so I continued with the instructions from the packaging. They didn’t rise as much as I would have liked, which resulted in one side being a little flat, but I figured that could be the bottom of the cake pop, where the stick gets inserted. 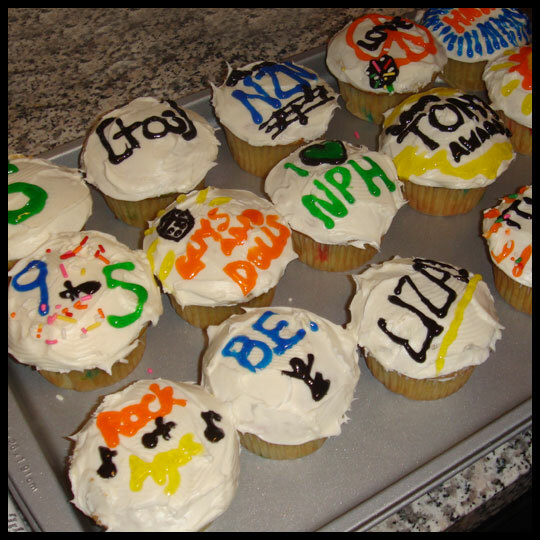 While those cooled in the refrigerator, I moved on to the cupcakes. I wasn’t worried about these at all. Instant Jell-o pudding to add in – check. Follow the instructions on the box – check. It really was as easy at that. 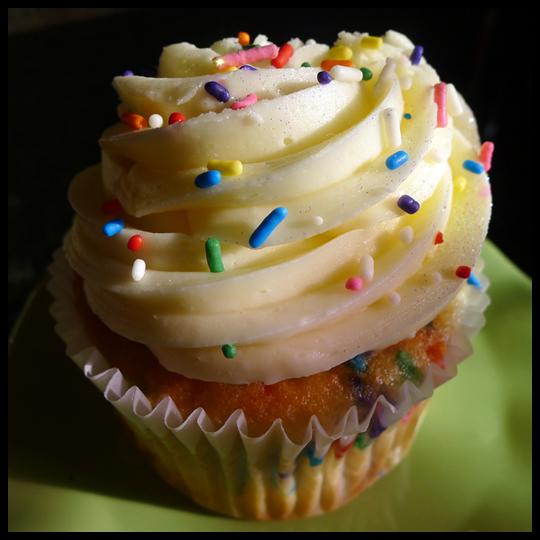 The result were light, fluffy, and moist “Rainbow Chip” (AKA: Funfetti) cupcakes. 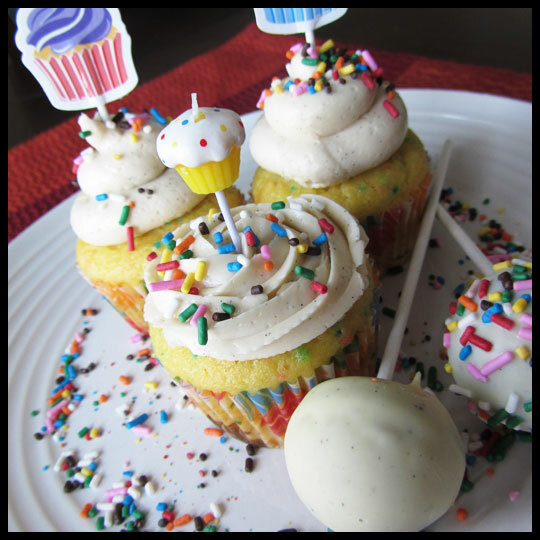 Before I tackled the more difficult portion of these cupcakes, the homemade vanilla buttercream frosting, I decided to go back to the cake pops. While the cupcakes were in the oven I had inserted the sticks so they were ready for dipping. 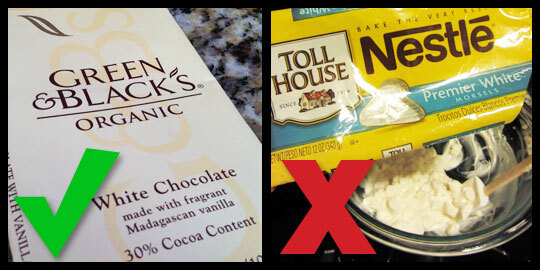 For the white chocolate coating I had two options, fancy bars of organic madagascan vanilla white chocolate and a bag of Nestle Toll House white chocolate chips, which were meant to be a backup in case I needed more. Well, I needed more, and I learned not to take the cheap road when it comes to white chocolate. The organic white chocolate melted, dipped, and set up beautifully, while the cheap white chocolate chips didn’t set up quickly at all, resulting in major drips. It was definitely a struggle to work with, but with just a few “oopsies” I managed to finish the rest of the cake pops. The result was a stunning deep red inside with a crunchy sweet white coating. With the cake pops out of the way it was time to focus on the frosting for the cupcakes. I was really worried about this at first, but after a mini Facebook conversation with Christi from Love from the Oven, I was feeling much more confident about experimenting without a recipe. We discussed possible add-ins and she shared links from her blog with me. In the end I decided on adding in marshmallow fluff. I had already ordered my madagascar bourbon vanilla bean paste and knew that I would add a touch of salt to balance out the sweetness. Armed with my three “secret” weapons, I was ready to tackle this next baking challenge. 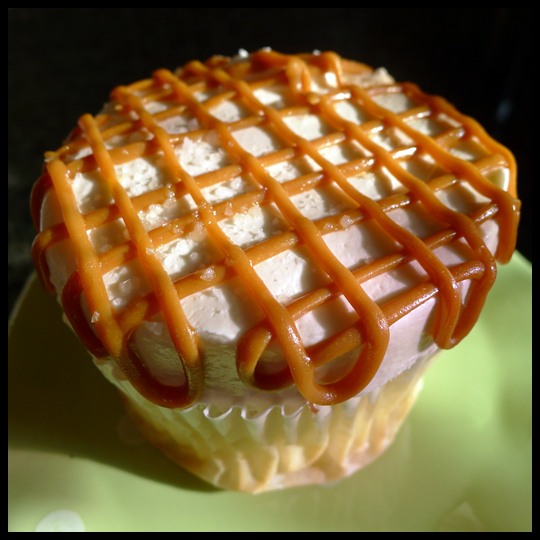 At first I wasn’t sure if the frosting was too buttery and not sweet enough, but when I tried it with the cupcake, it was a perfect balance! Even Jenn, who wasn’t thrilled with just the frosting at first, thought that it paired really nicely. And of course, Elisa, who loves buttery frosting, thought it was great! And really, she was the only opinion that mattered. But on top of all that, everyone at the party seemed to really enjoy all the sweet treats. It was my first attempt at a fancy buttercream frosting, and I couldn’t have been more proud of the outcome and I was so happy to be able to provide Elisa with the tasty cupcakes and cake pops she deserved on her 30th birthday! At first I assumed that we would just do box mixes, store bought frosting, and then make them look pretty, but I was wrong. 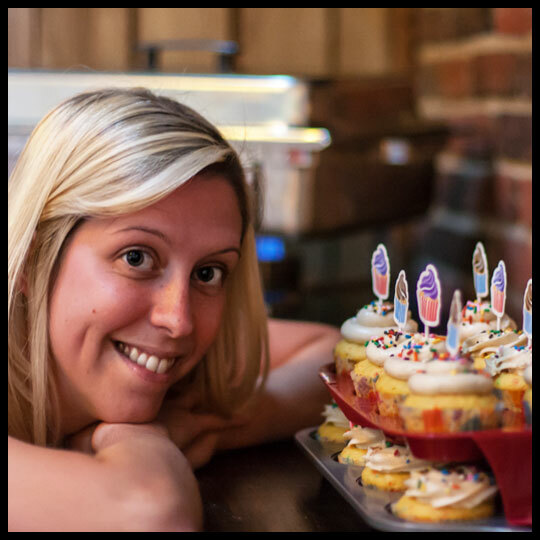 Alissa wanted to tackle something bigger for this party…homemade American buttercream frosting! She likes the sweeter, thicker frostings, and wanted to try and achieve that for this event. I was nervous. 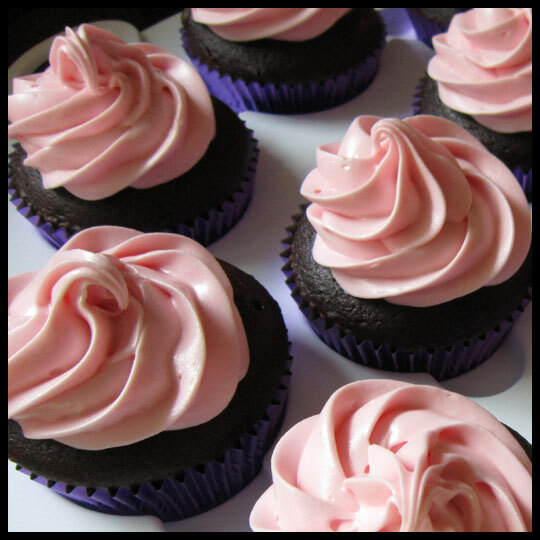 The only time I’ve ever made a homemade frosting that worked was when I added another flavor, like citrus or mint. American buttercream is such a tricky thing to create. So, I left it up to Alissa to find the recipe. I didn’t want to be responsible for ruining the cupcakes at my nieces 1st birthday! We decided that we should have the cupcakes done the day before the party. 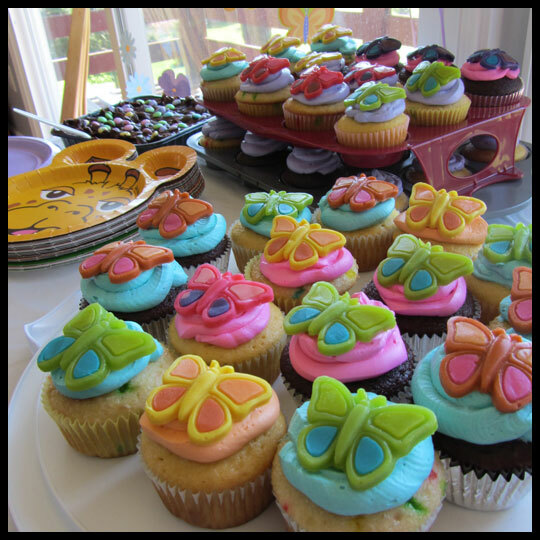 After a lot of research on the theme, butterflies, we had everything we needed to pull it off. 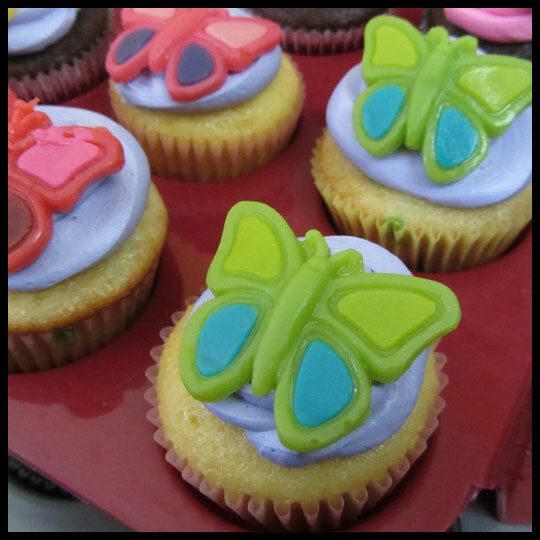 Alissa had sent out a beautiful invitations (designed by Stacy), we had party decorations, snack bags shaped like butterflies, butterfly sugar cookies, and the final item that would make the cupcakes come together…butterfly gummy candies which would make the perfect cupcake topper. 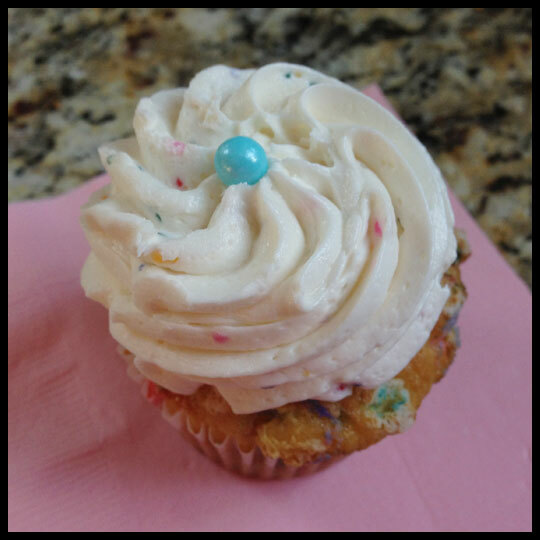 As soon as my baby girl, Leah, went down for a nap, I got started on the funfetti cupcakes. The goal was to finish baking 48 cupcakes during her morning nap, let them cool, then frost them in the afternoon when the kids went down for their afternoon nap and when Stacy and Alissa would be there to help. 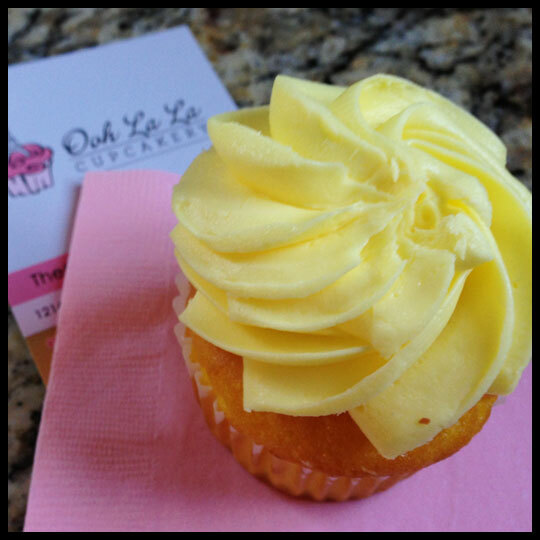 While I was working on the second batch, the chocolate cupcakes, Alissa arrived with her girls and asked, “Are we sure this is going to be enough?” At the last minute we decided to throw in another batch of yellow cupcakes, just to be safe. Luckily I had a spare box mix in the pantry! 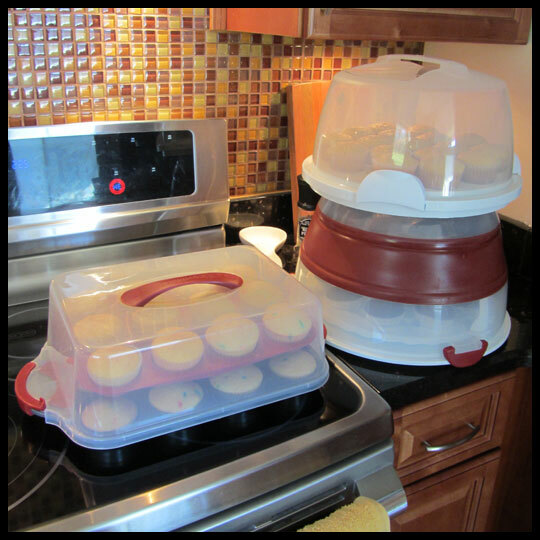 And enough storage containers to house all of the cupcakes! Just as planned, we were ready to start making the frosting when the girls went down for their afternoon nap. I pulled up the vanilla buttercream recipe Alissa found on my laptop and we got to work. We made some tweaks along the way, adding more vanilla extract, more whipping cream, and more confectioners sugar. I still didn’t think it came out as good as what you find in bakeries, but Alissa was happy with it, and that’s all that mattered! 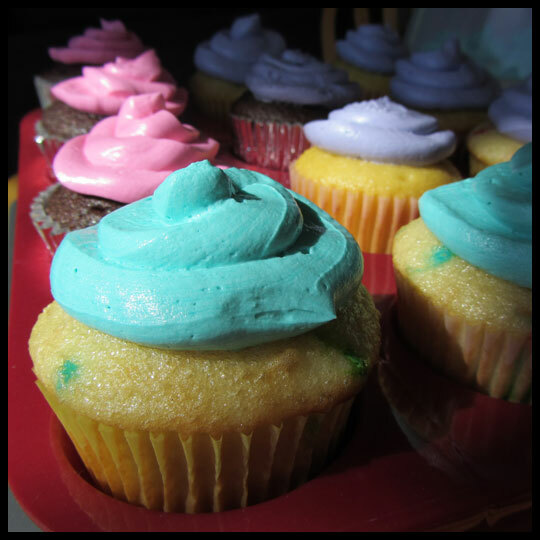 We made two batches and divided the frosting into separate containers so that we could use food dye and create four different colors. The colors came out so vibrant, a perfect match for the toppers! With so many colors, and only my single bagless piper, we opted to use Ziploc bags to pipe the frosting. Starting out was a struggle for all of us. I eventually got the hang of it, but then started failing again at the end. Alissa was really eager to try some out as well. What she lacked in ability, she made up for in enthusiasm! We blamed everything for our (borderline disaster) piping skills, from the bags having too much air in them, to the holes being cut too big. 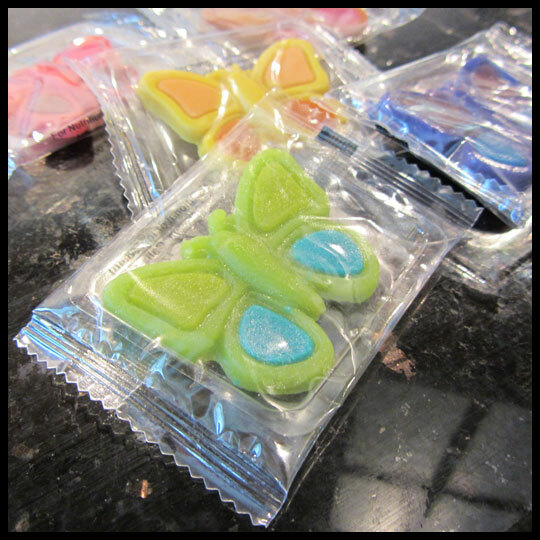 I don’t know if it was the sugar rush from all the taste testing, or comfort in knowing that we were covering these up with butterfly candies, but we all managed to laugh at our attempt and stay in good spirits. Cupcakes are supposed to be fun, after all! And, what’s more fun then making them with your sisters? We all felt like the end results were great! 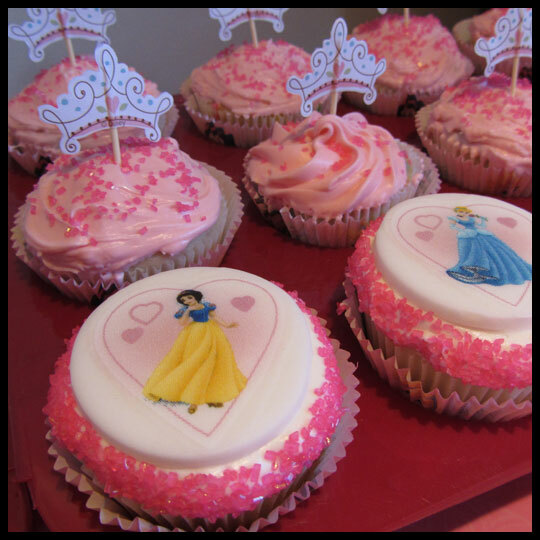 The kids loved the cupcakes and, most importantly, the birthday girl loved them too! 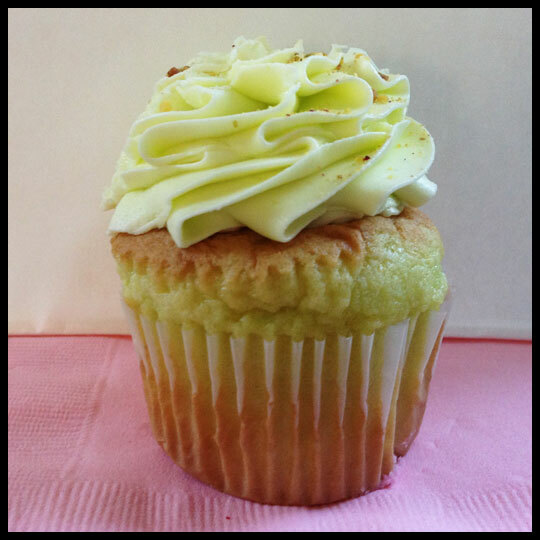 I’m still really curious how bakeries make their buttercream. 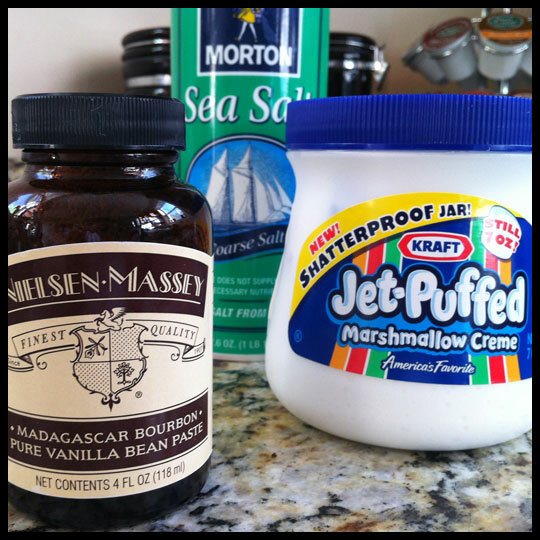 There has to be more to it than butter, confectioners sugar, vanilla extract, and whipping cream. I think it’s a big secret amongst them, and they aren’t sharing! Figuring that out might be my next mission…Let us know if you have any suggestions!